Submit Comment for My Girlfriend and I Want to Teach English in Japan, But We Don't have degrees. My Girlfriend and I Want to Teach English in Japan, But We Don't have degrees. Return to My Girlfriend and I Want to Teach English in Japan, But We Don't have degrees. .
Join in and write your own page! It's easy to do. How? Simply click here to return to New TEFL Course Questions. Employers: Post a Job for FREE! See a Typical Japanese Apt. FREE E-Book. 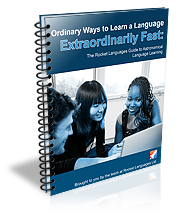 Speed Learn Japanese & Get Our Newsletter on Japanese Proverbs and Cool Expressions. Japan visa - It all starts with a visa. Get visa info. on Japan here. Japan Visa requirements. Your travels to Japan begins with a visa. Get info on travel visas and working visas here. Find Teaching Jobs in Japan on our Teaching Jobs Abroad Page. Full-time & Part-time Listings for Jobs All Over Japan. Teaching Jobs added almost daily. What's a Typical Japanese Apartment Look Like? What to Expect. Traveling to Japan to Teach? Get a Detailed Look at What a Typical Japanese Apartment Includes. Find Teaching Jobs Overseas and Experience Japan Through a Teacher's Eyes! Big Bustling Cities Like Tokyo or Seaside Undiscovered Gems Like Nikko! The information contained in this site is original and protected by copyright. Please DO NOT COPY any part of this site without our express written consent.